​Jurgen Klopp has admitted that he did not want Roberto Firmino to take over penalty duties from Mohamed Salah for Liverpool on Saturday – despite the Brazilian sealing his hat-trick from the spot. The Reds were awarded two penalties during their 5-1 thrashing of Arsenal at Anfield, with Salah stepping up to convert the first spot kick on the stroke of half time. However, when Liverpool were awarded another to add their fifth of the game, Firmino stepped up to the spot. 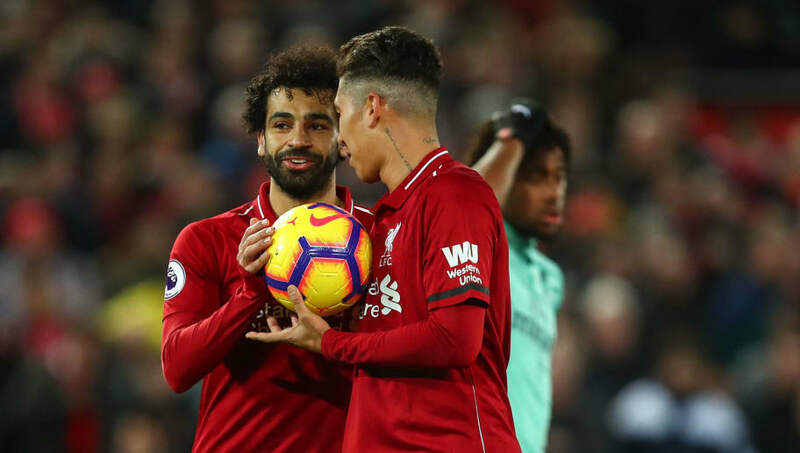 The Brazilian completed his treble on the day courtesy of the second penalty, but Klopp insisted after the thumping Premier League win, via the ​Mirror: “In the moment, I was not too happy because in training Bobby [​Firmino] doesn’t finish with penalties too often, to be honest. “Obviously today it was his day and absolutely OK.
“2018 ends with a Christmas present from ​Mo Salah. I love it, the gesture. He gives the ball to Bobby and he can score a hat-trick. That’s just a nice thing. It was a momentous victory as ​Liverpool saw out the calendar year in emphatic style, with the win taking Klopp's side nine points clear at the top of the league table ahead of ​Manchester City’s visit to ​Southampton on Sunday. ​Tottenham also enabled the Reds to pull further clear as league leaders, after Mauricio Pochettino’s side were stunned in a 1-3 defeat at home to Wolves on Saturday. Liverpool travel to face title rivals City in a huge top-of-the-table clash at the Etihad Stadium in the Premier League on Thursday.